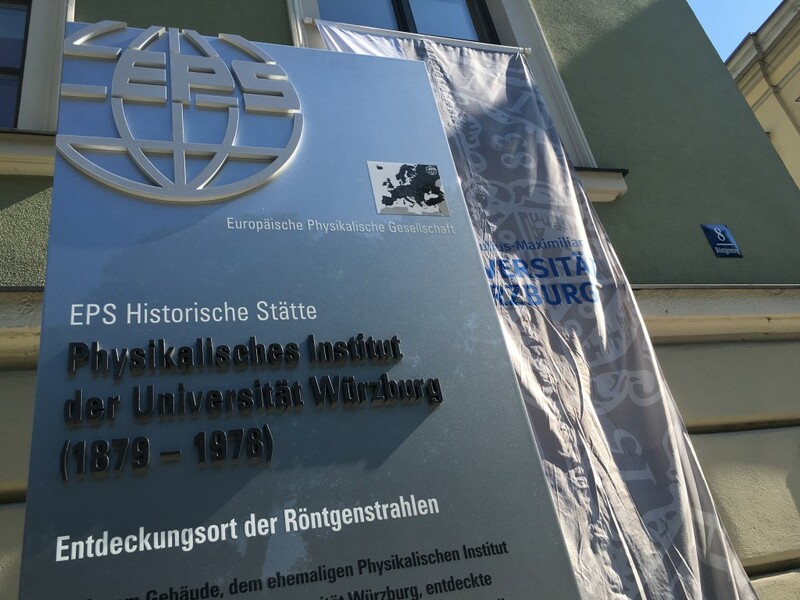 The European Physical Society (European Physical Society, EPS) honored on 7 June 2016 the place where Wilhelm Conrad Röntgen on 8 November 1895 discovered the X-rays as a “Historic Site”. It is the third “Historic Site” in Germany, in Europe 29 places are awarded. With this award, the EPS recognizes the importance of the discovery of X-rays. In the former Institute of Physics at University of Würzburg the Röntgenkuratorium Würzburg e. V. maintains the original location of the discovery of the X-rays. With a ceremony, a stele was inaugurated in front of the building, which pays tribute to the scientific achievements and their far-reaching implications for science and research.